Construction for the Bus Rapid Transit system, slated to open in 2016, has been delated due to improvements made in pedestrian safety, new landscaping and traffic signals. Photo by Juliana Sevre. San Francisco public transit has hit yet another snag in the road. Originally planned for 2004 and again in 2006, a Bus Rapid Transit system would have brought a high speed bus that functions like a “subway above ground” to San Francisco commuters. Most recently slated to open in 2012, construction has now been moved to 2016. The first two BRT routes will be on Geary Boulevard and Van Ness Avenue. The initial Van Ness 2-mile stretch would run from Lombard Street to Mission Street. The plan is for the service to have its own street lane that is physically separated from the others by curb or rail. One reason for the delay is that pedestrian safety improvements are being made, like reduced crossing distances to BRT stations and large elevated platforms for waiting commuters. Also new landscaping, road resurfacing and new traffic signals are all being implemented, according to the San Francisco County Transportation Authority. Another goal in the project’s environmental impact report is the decrease of noise, energy consumption and greenhouse gas emissions. 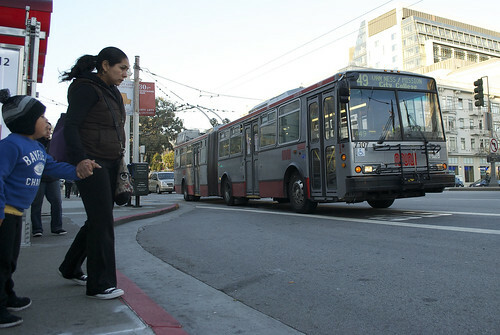 The project is being led by the SFCTA, with the Federal Transit Administration and San Francisco Municipal Transportation Agency backing them up. San Francisco commuters and students are always looking for better public transportation in the city.